Casio Electronic Cash Register - SE-G1SC-BU By Hiphen Solution Services Ltd.
Casio strives to produce products with innovative functions to assist people in their daily lives that would enhance life at work, at home, and anywhere in between. Casio is dedicated to improve the lives of our customers and committed to produce innovative, high quality products that customer’s value. 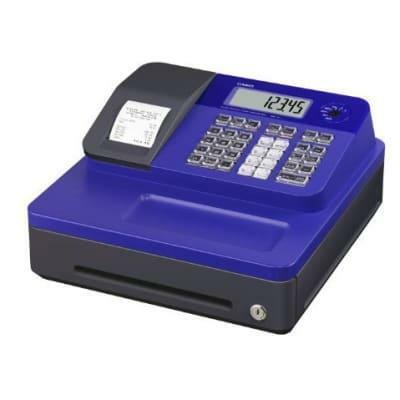 The Casio SE-G1 series cash registers allows you to "Match the Color of Your Store Decor" with three (3) different colors to choose. Cabinet colors red, pink and blue are available to coordinate the color schemes in your place of business. Functionally the machines provide a high speed single station thermal printer with the ability to customize the receipt header message to print on customer receipts. The large easy to read operator and built-in rear customer LCD display assure accuracy in prices being entered through one of the eight (8) department keys or through one of the 999 PLU's. Signal Booster - GSM 900/1800 MHZ + Antenna By Hiphen Solutions Services Ltd.
6 Zone Walk Through Metal Detector By Hiphen Solutions Services Ltd. Under Vehicle Search Mirror BY HIPHEN SOLUTIONS SERVICES LTD. Lock LMA By Hiphen Solutions Services Ltd.
3.5 Inch Wireless Video Door Phone By Hiphen Solutions Services Ltd.